CHICAGO — He delivers the bad news during a delay. He tells you where to transfer. He warns you not to gamble. 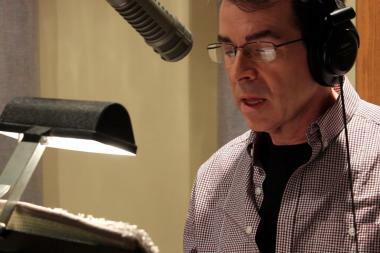 This is Lee Crooks, the voice of the CTA. 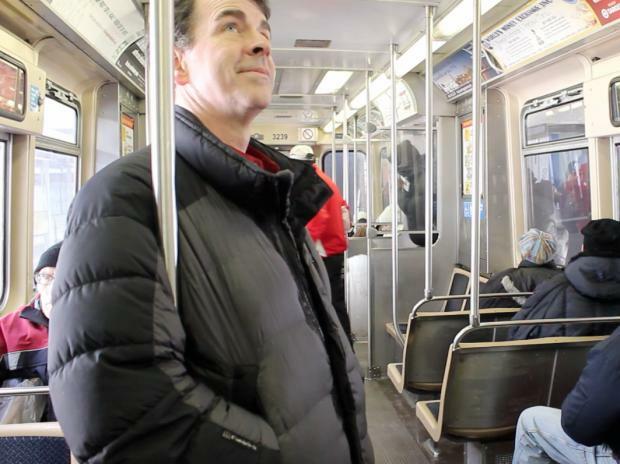 When the 53-year-old voiceover actor records for Chicago’s buses and L trains — mostly announcements of stops and stations — he keeps the average commuter in mind. Crooks lives in the Milwaukee suburbs, but he drives to Chicago a few times per year to record updates to the transit system. One recent December afternoon, he was holed up in a small River North recording studio with a sound engineer and CTA producer to make announcements for detoured buses. In front of the microphone, headphones on, Crooks closed his eyes. The Brown Line rumbled by outside. “Travel south to 55th,” he said. It was cheery and recognizable. But sound engineer Milt Smith could tell it wasn’t right. “Do you want to blow your nose?” Smith asked. “I didn’t think I needed to. Do you want me to blow my nose?” Crooks asked. Attention needs to be paid to small changes in the actor’s voice: if it’s a tad nasal, or too low in pitch, or if he’s speaking too fast. If it's not perfect, what he records won’t fit in seamlessly with other announcements as they come through bus and train speakers. “It’s much more time-consuming than people imagine,” Crooks said. And after all the time he has put into his most famous work — like counting from one to 1,000 for route numbers — Crooks rarely gets the chance to hear it. “The only time I ever hear my voice on the CTA is when I happen to be standing on a street corner and a bus pulls up,” he said. Still, reminders of his work are on every street. After all, he’s said the name of every one of them. He recently walked past a sign for Beaubien Court. He can’t remember whether it’s “Ruh-cine” or “Ray-cine,” either. He probably did a “tweener,” a blend of the two, he said. Special attention was paid to Goethe (“Ger-ta”) and Throop (with a hard “T”), but a technical problem during audio file compression caused the Harold Washington Library stop to come out wrong. Though he's now established in his industry — he's done commercials for Sears, Pillsbury, Chevrolet among others — Crooks had shied away from being known as the voice of the CTA until recently. Landing the gig was his "big break," and he used the Disney World monorail voicover as inspiration for his audition. But he didn’t want to be "pigeonholed" as an announcer. But for 1.6 million daily riders on the CTA, that’s how Crooks talks to them, all the time. And there's something strange about knowing his voice echoes out to millions across the city every day.